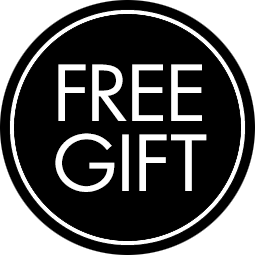 Kérastase Reflection Bain Chroma Captive, Fondant Chroma Captive & Masque Chroma Captive Bundle adds shines and leaves coloured hair soft, smooth and silky to the touch. 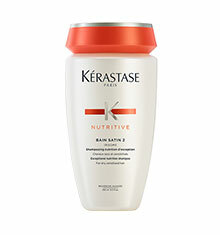 Kérastase Reflection Bain Chroma Captive (250ml) Kérastase Bain Chroma Captive Shampoo, a shine enhancing shampoo for coloured hair. Enriched with Système Capture™ to help capture colour pigments and to protect colour intensity. 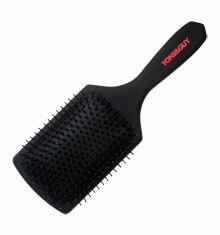 Hair is left feeling clean, soft and smooth with beautiful looking shine and is silky to the touch. 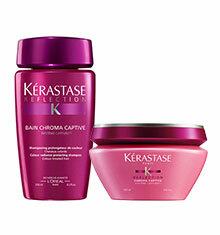 Kérastase Reflection Fondant Chroma Captive (200ml) Kérastase Reflection Fondant Chroma Captive 200ml, a shine enhancing conditioner for coloured hair. Formulated with Système Capture™ to help capture colour pigments and to protect colour intensity. Hair is left feeling smooth and shiny, for brilliant looking colour. 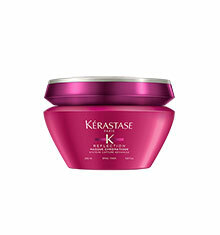 Kérastase Reflection Masque Chroma Captive (200ml) Kérastase Masque Chroma Riche treatment masque for very sensitised or highlighted hair. 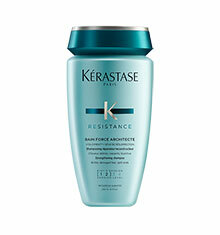 Aqua-Ionic System: an ionic polymer infuses the hair fibre with active emollient and shine enhancing ingredients. A hydrophobic film is formed around the fibre to help protect the moisture level in the fibre and locks out humidity.